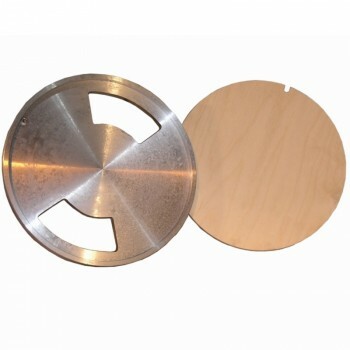 Free delivery to mainland UK when you buy this wheel from us. For those who like the more upright position and a traditional throwing experience The Staffordshire is designed for you. 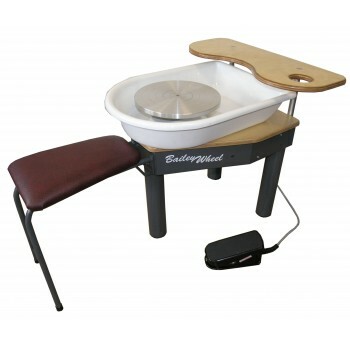 Beautifully crafted in polished wood with Gladstone’s quality engineering for the metal work and components. 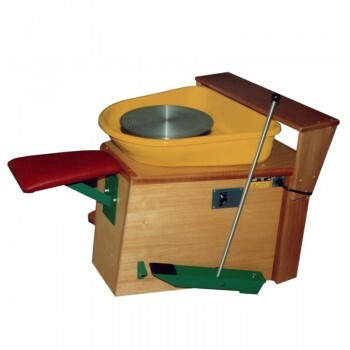 It is a remake on former classic models such as Alsager and Podimore, therefore a proven design in shape and ergonomics. 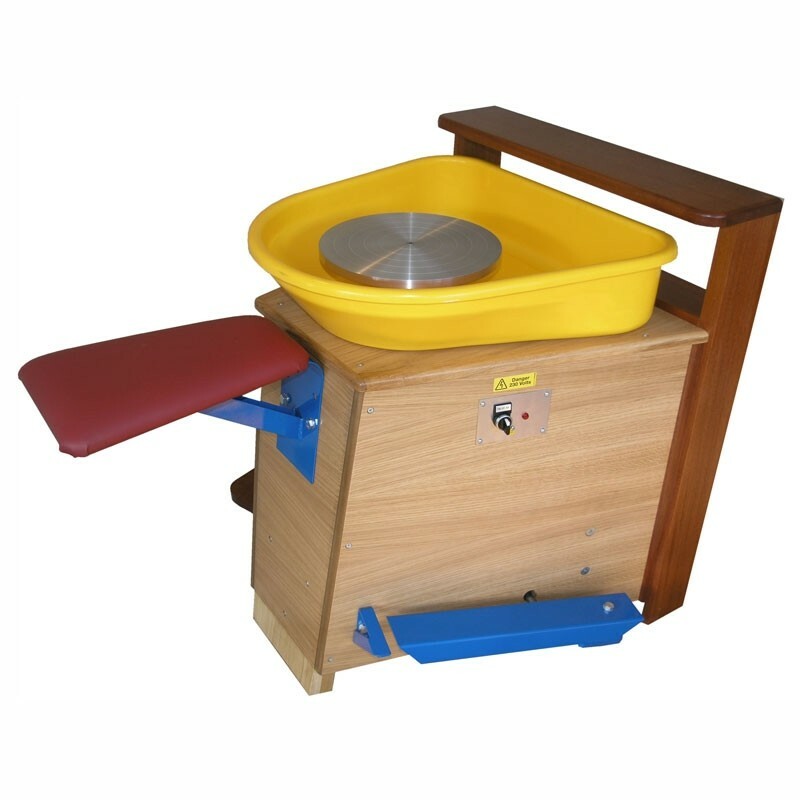 As a top end pottery wheel it is designed to give you a long life, so perfect for professional throwing, school or for a serious hobby environment. The splash pan is one piece with a drain hole for easy cleaning, it has a quiet motor and will go forward and reverse when needed. 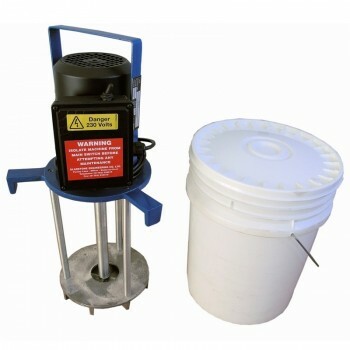 The Wheel head can accommodate the ‘easy lift wheel head’ with batts as an optional extra. Easy lift and studded wheel heads are also available.